"This is to show how teachers have your back in the [long] run." 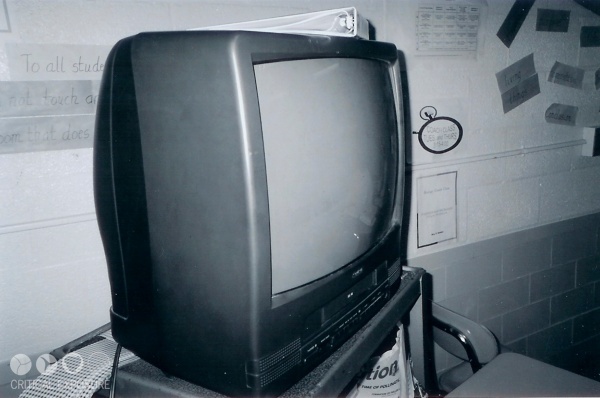 This television symbolizes how teachers use other materials to teach extremely large classes. Where is the student-teacher interaction? Where is the one-on-one engagement between the two? Three times out of the week we watch 'documentaries' that 'relate' to our unit of studies. When we do finally receive work from our teacher it is not relevant to our studies. 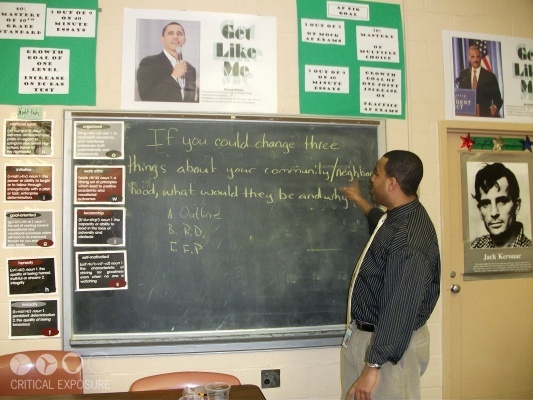 This kind of teacher is not crucial to the development of students' minds. 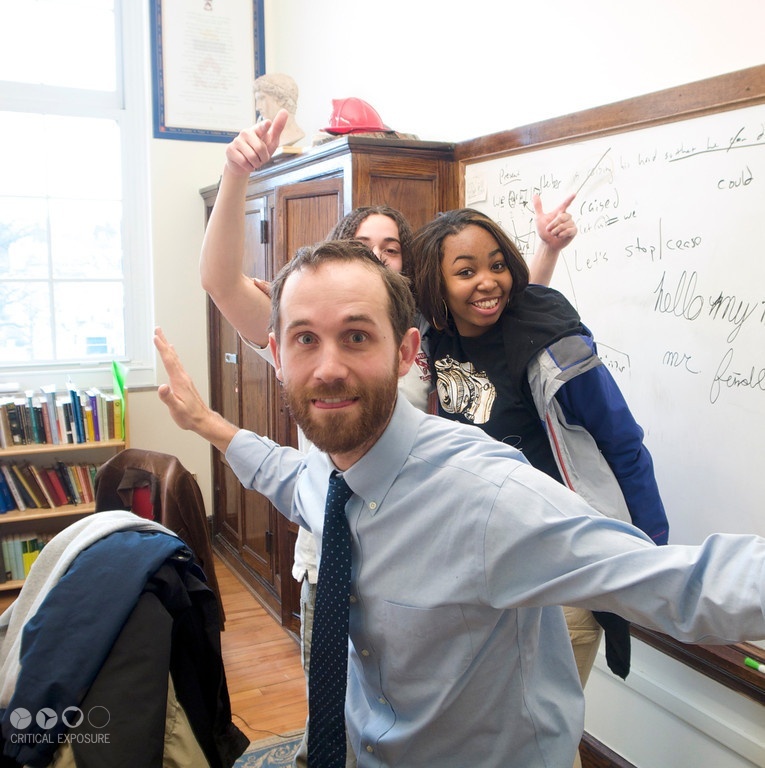 My homeroom/Language Arts teacher, as you can tell, is an upbeat teacher who makes learning fun. She is always trying to get the best from her students and keeps us laughing. 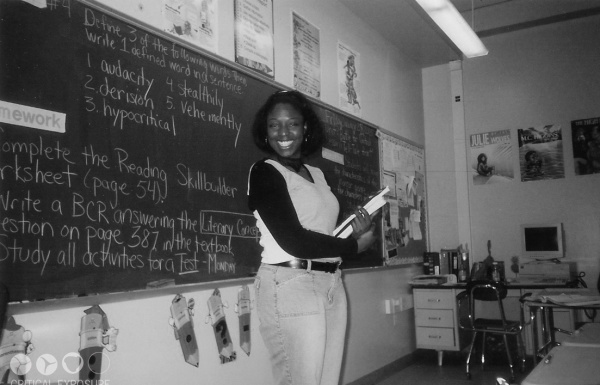 Her name is Ms. Saunders and in her class your mind is not allowed to wander from the lessons that she teaches. 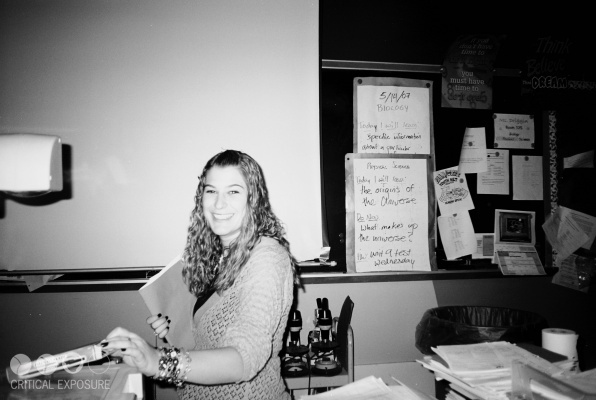 I believe it is good to have a teacher that keeps your attention and is fun because you can actually learn something. 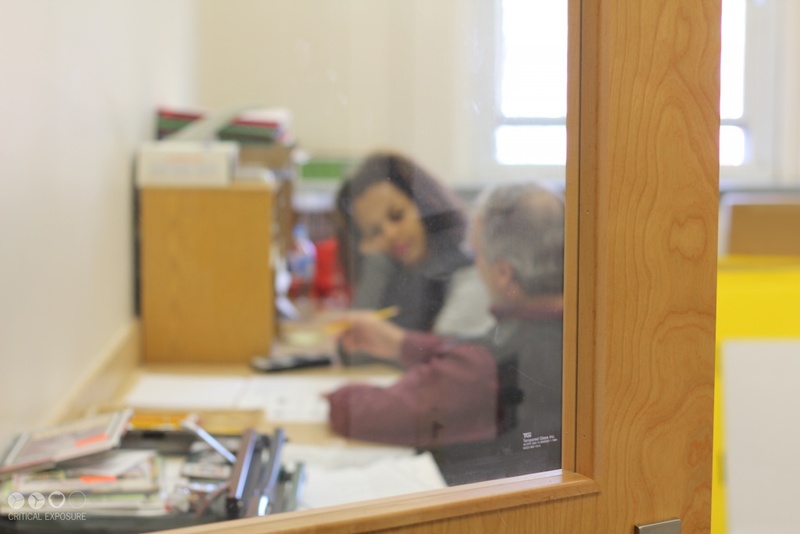 Editor's Note: Ronald took this photo to depict the 1-on-1 attention students receive at his school. 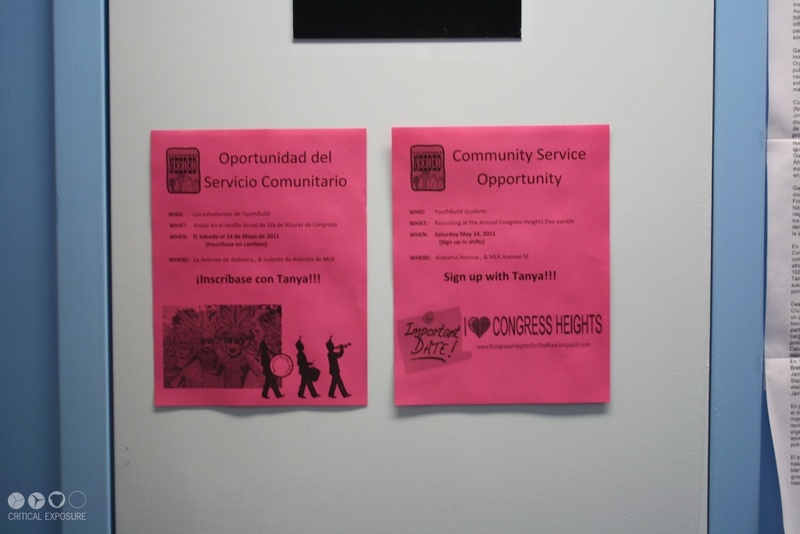 This is a picture of two posters for community service. One is in Spanish and one is in English. It shows diversity in the school and acceptance of many languages. 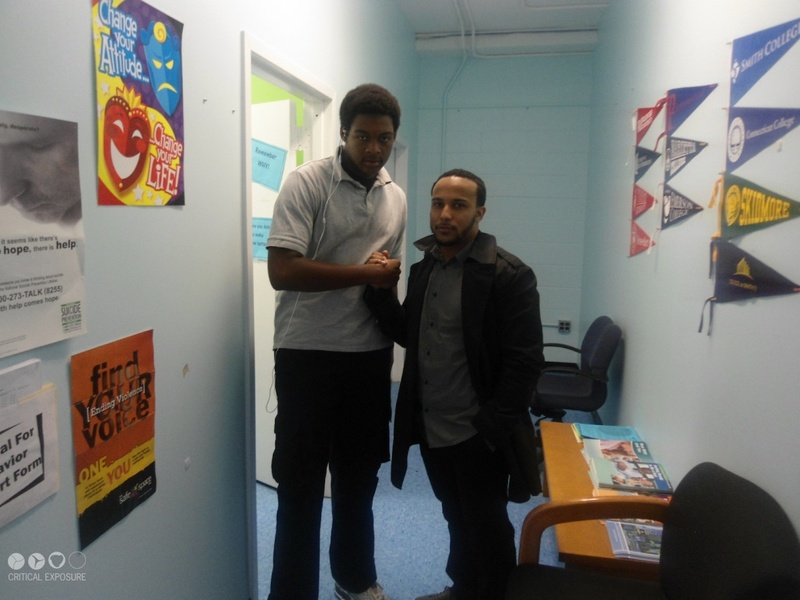 It also shows that YouthBuild provides community service opportunities for all students. It makes me smile to know that we can get along. A picture that shows one of the teachers who cares about the students succeeding! She is so patient and dedicated to the success of students by making sure that the students comprehend [the curriculum].